Our Supporting Level Memberships offer accessible, exciting ways to enjoy TAM, plus discounts at the Museum Store and TAM Café. Members are an integral part of the museum and we are grateful for your support of our exhibitions and programs. 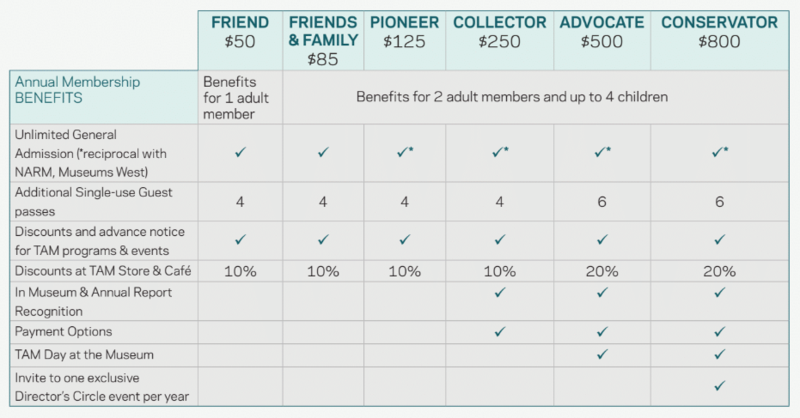 Find the right membership for you using our detailed guide, or we would be happy to hear from you directly by phone or email. 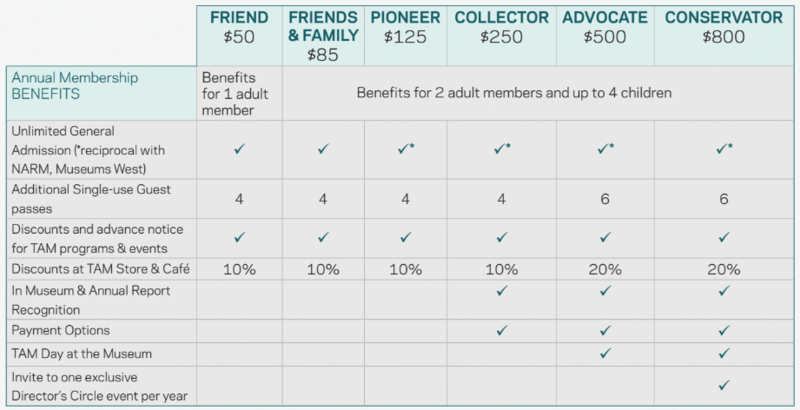 Pioneer and Collector level members have access to NARM and Museums West reciprocal programs, which grant free admission to 900+ museums across North America. Simply show the reciprocal stickers on your TAM membership card to Visitor Services at any of these affiliated museums to gain free entry.